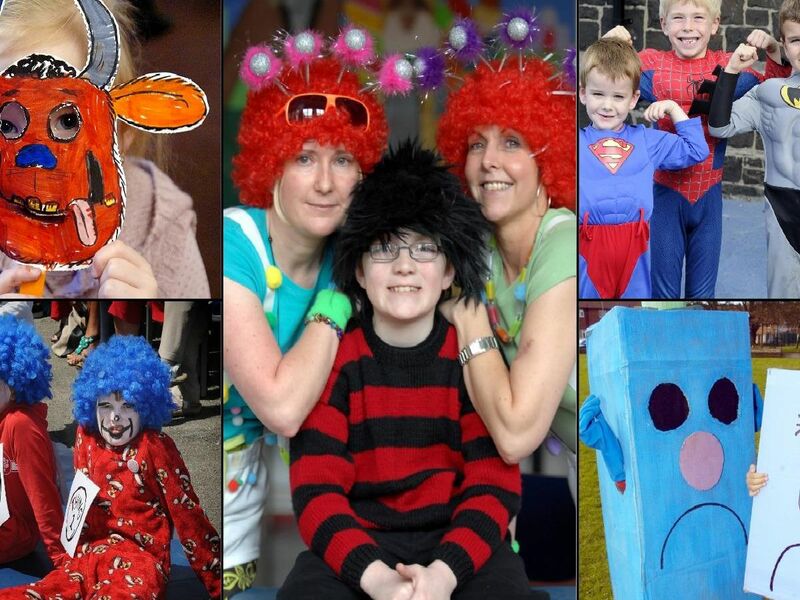 World Book Day 2019 is right around the corner, and schools across the country will be encouraging pupils to dress as their favourite book characters. Stuck for ideas? We've put together a list of 23 quick and easy potential costumes for Thursday's festivities. Remember to send us your pictures on Twitter and Facebook on Thursday morning! A blue shirt and some carefully placed toilet paper can easily become a makeshift Mr Bump, or, if you're feeling a little more creative, try repurposing an old cardboard box into a bulkier design. If you can pick up a pair of white dungarees and some orange face paint (try a costume or party shop), you're almost there. For the hair, pick up a green wig, or buy coloured hair spray from a chemist. Alice in Wonderland is a simply costume to pull off. If you're lucky, you might already have a costume, but if not, a blue dress, white apron and ribbon for the hair will have you all set. Another effective option is the Dr Seuss classic. Red and white card can be used for a makeshift hat (as tall or short as you fancy), and a black jacket, white shirt and red tie will complete the look.